Other Notes: India Pale Ale. Keep it real, no additives inside! Brewer Description: (from bottle) As we have said before.. That your first beers will always carry a special place in your heart. Herr Hemlig was our first commercial non-fruit beer. First launched in 2015. We couldn’t keep up with supply at the moment due to other success stories. 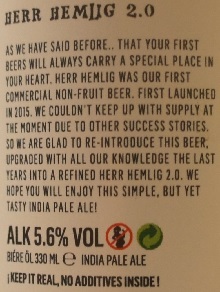 So we are glad to re-introduce this beer, upgraded with all our knowledge the last years into a refined Herr Hemlig 2.0. 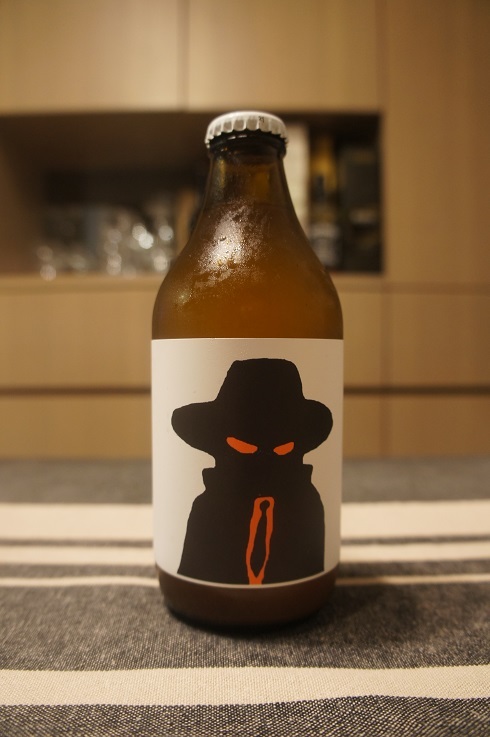 We hope you will enjoy this simple, but yet tasty India Pale Ale! Intro: A 330ml bottle with a best before date of 19th June 2019, ‘B6 lutfisk’. Poured into a Lost Abbey teku glass. 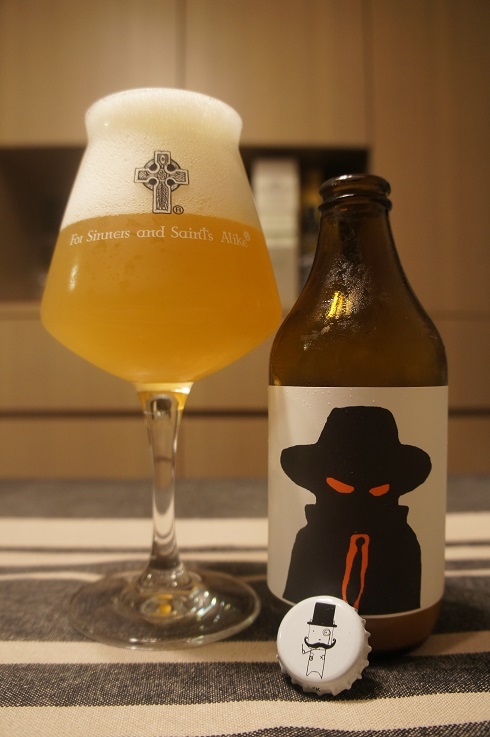 Appearance: A hazy yellow colour with a big three finger white head that had decent retention and left some lacing. Aroma: Pineapple, grass, pine, and orange rind. Taste: Lightly bitter, grapefruit peel and rind, citrus pith with light pine and herbal notes. Overall: Light but tasty with nice bitter citrusy fruit.